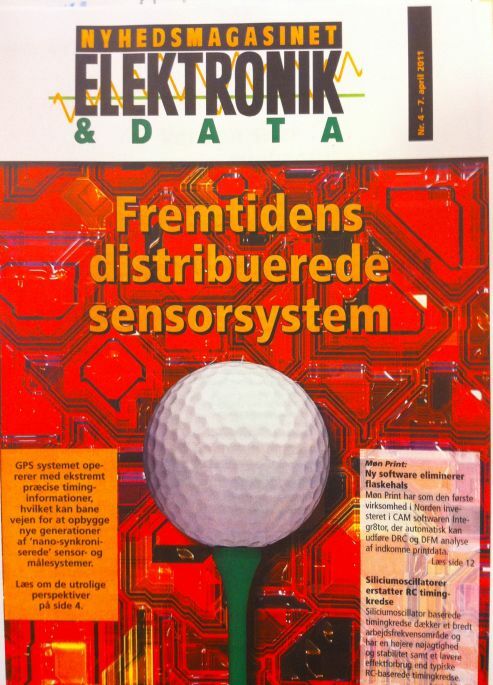 The latest edition of the Danish publication “Nyhedsmagasinet Elektronik & Data” features nanosynchronization on its cover, with an in-depth article describing the technology and its potential applications. The editorial on page 2 also comments on the future perspectives. This entry was posted in Acoustics, Applications, Energy, Enviromental, Instrumentation, Intro to Nanosync, Links, Medical, Transportation and tagged GPS, instrumentation, localization, nanosync, sensor, sensor accelerometers compass camera microphone iPhone iPad, timing. Bookmark the permalink.